Hello Everyone…and Merry Christmas…less than two weeks away! 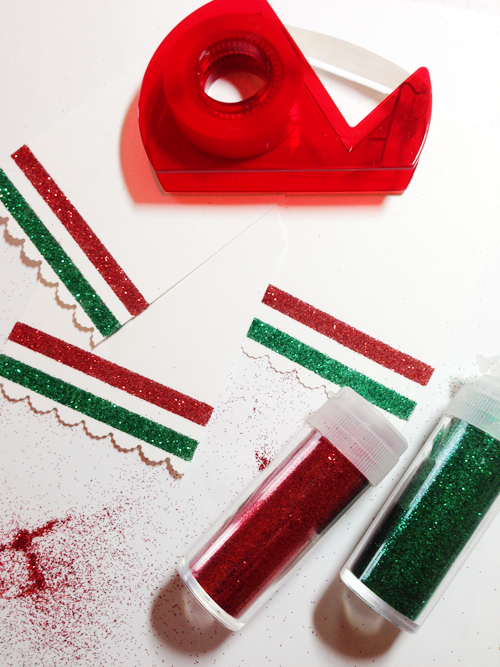 It’s Kelly here today to share some fun tags you can make using a package of 3D Foam Christmas Shapes and Crafty Power Tape. 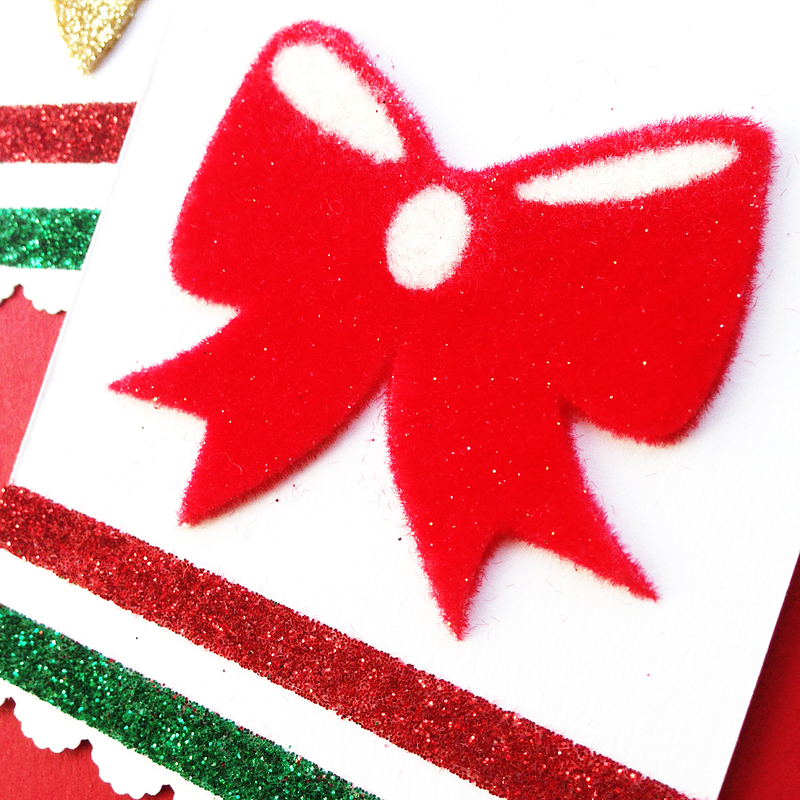 There are so many cute Christmas shapes in this package, and you get two sheets….so I can make many more tags. 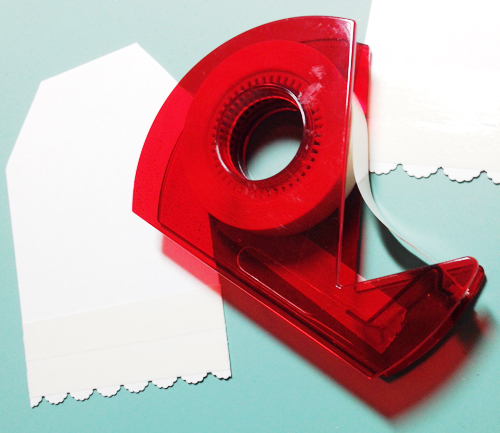 Did you know that Crafty Power Tape comes in both a roll and this handy red dispenser? 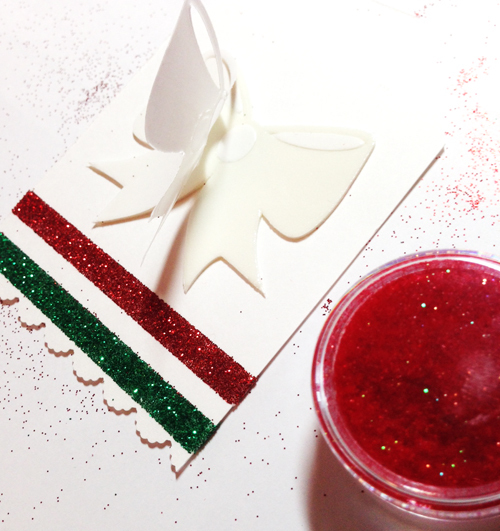 My Crafty Power Tape dispenser matches my Christmas projects! I cut my own tags from Bazzill cardstock. 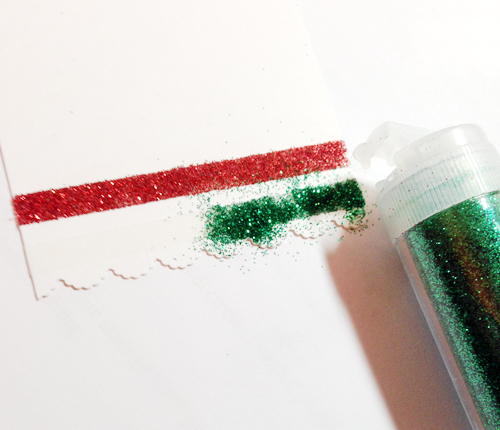 After punching the edges of the bottoms of my tags, I added a couple of strips of Crafty Power Tape and traditional Christmas colours of red and green glitter. 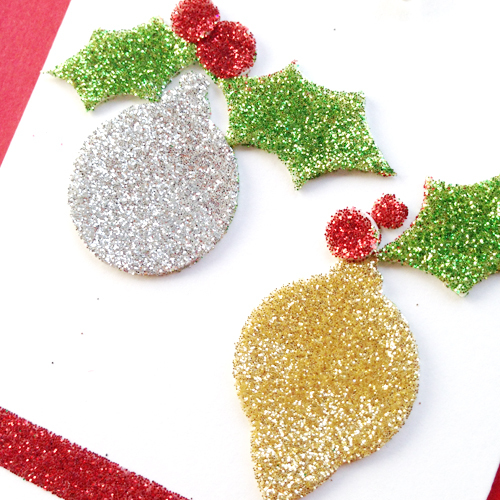 Then I took out my package of 3D Foam Christmas Shapes, along with more glitter and flocking. 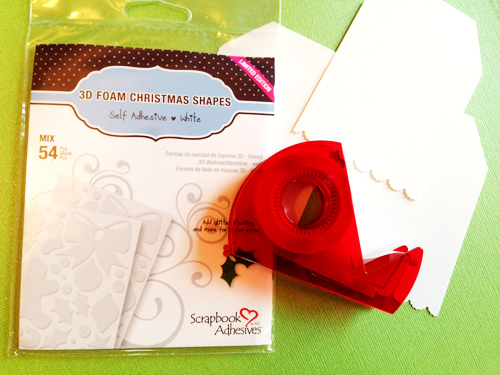 There are so many different ways to alter your 3D Foam Shapes! TIP: Remember to remove only the backing of the pieces you are working with, when you apply different colours of products close together. 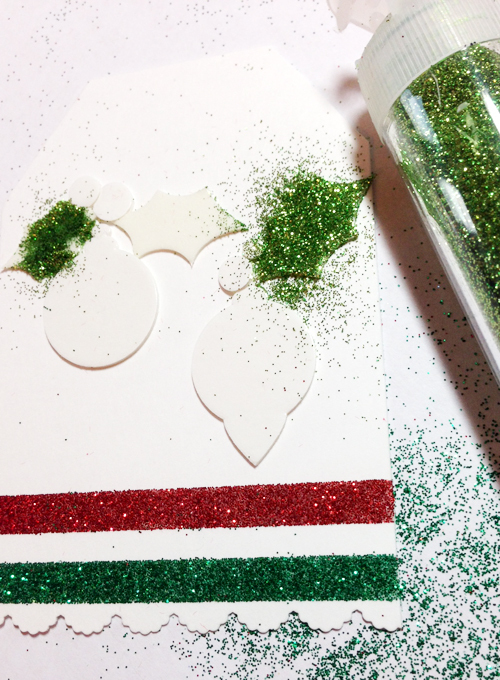 Tweezers can be helpful for this! 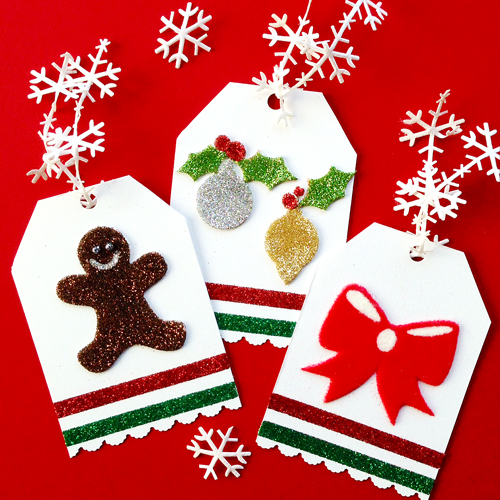 Now it’s time to finish my Christmas shopping and get wrapping so these tags can be used! This entry was posted in 3D Foam Shapes, Crafts & Tutorials, Crafty Power Tape, Embellishments, Seasonal Craft Ideas, Tutorial, Wear your Adhesive on the Outside, Winter and tagged 3D Foam Christmas Mix, Christmas, Clearsnap, Crafty Power Tape 81' Dispenser, EK Success, Flocking, Gift Tag, Glitter, May Arts Ribbon. Bookmark the permalink. 2 Responses to "3D Foam Christmas Tags"
Love, love, love these tags! !